Also this week, I finished a hat for Arlo - it's just a simple watchman-style cap in navy blue. I used this pattern from Purl Soho. 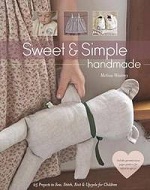 Have you seen how many amazing (free) knitting and sewing patterns they have these days? Things I would love to make: this diagonal slip-stitch throw, a double-knit blanket, classic cardigan in cotton or alpaca, boot socks (Keira has requested a pair of these to wear with her Doc boots) and baby fair-isle cardigans (for my nieces). My mum has made this wrap, (in minty-green cashmere) and it's so beautiful - it's on my dream-knit list! I also love this optic throw, but can't see myself ever finishing something so ambitious. What a beautiful piece though. I rediscovered my headphones recently and have been enjoying listening to the new Father John Misty album through them on my walks around the city. This is another beautiful song I love at the moment - and I'm going to see her live on the weekend - lucky me! My son Arlo turned 15 this week, and I promised to make him a new hat for his collection. In the first photo above you can see where I've got to with that, which is not terribly far. I'm using Quince & Co Chickadee yarn and this Purl Soho pattern. It's knitting up beautifully so far... I hope to finish it in time for his football game on Saturday. I found a stack of UK Embroidery magazines in a second-hand shop - someone's entire collection from the 1960s-90s had been donated. I bought one from each decade. It's the magazine of the UK Embroiderer's Guild and it's lovely to see that they are still going strong with the ethos of encouraging original work. In the 'Summer 1966' issue there are articles on embroidered camel harnesses, Romanian religious iconography in textiles, embroidery as a career, inspiration from Māori carving and free-form stitching for texture. The hexagon patchwork quilt I started working on back here is still growing, albeit very slowly. It's nice to have a really long-term project like this on the go, I reckon. For the hexagons, I've mostly used old clothes such as shirts that have worn-out collars or pasta sauce stains but the cotton fabric is still in good condition. Some of the hexagons are cut from pillowcases and scraps leftover from other things I've made. I don't work on it very often, but I'm always so happy when I've found an hour or so to sit quietly listening to a podcast and doing some hand sewing. I've now started sewing the hexagons into long strips which I then attach along the edge of the large piece, to help keep it manageable. Have you read good lately? I've just finished two books by Zadie Smith: Swing Time, which I thought was excellent, and a collection of her essays, Changing my Mind. I've also recently read Autumn by Karl Ove Knausgaard which I also enjoyed, though parts of it were a little silly, I thought. I'm going through a non-fiction/essay phase in my reading at the moment. Next on my list is Encyclopedia of Trouble and Spaciousness by Rebecca Solnit. Last weekend's Soul Craft Festival was a beauty. It was pretty special to be among so many friends and friends-to-be, surrounded by people who love making things and talking about making things as much as I do. As well as seeing Felicia and Claire and the rest of the hard-working team, I was lucky enough to hang out with my friend Lizzie and Kate James, both of whom are inspiring artists. I loved listening to them talk about their work and plans. On my last evening there, I had a glass of wine with Jen and Jon of Grainline Studio and Andrea Mowry and that was such a treat. b ++ another view: this one was from my hotel room and looks rural, but it was just down the road from the event. It's hard to express how much I loved staying in this lovely hotel room by myself, but with friends down the hall to visit each evening. c ++ a quick snap of my teaching space before the first workshop. We had big wooden tables with jars of bright poppies (the main festival room had tables absolutely lined with these poppies). I taught three classes over the weekend, and loved meeting so many joyful and creative students, keen to stitch together and get to know each other. d ++ this is a sample I made for one of my workshops, to show how some of the stitches we learned could be applied in a cluster, to a piece of clothing or another project. I used some blue linen for this, and it's a free pattern from Peppermint Magazine you can find here. If you'd like to see some better photos of the festival, including some of the embroidery that students made, you can search the hashtag #soulcraftfestival on Instagram (or click here). At this weekend's Soul Craft Festival, I'll be teaching some embroidery workshops over the two days. But I'll also be giving a talk. I know! Public speaking is not my favourite thing, usually. But when Felicia asked me last year whether I'd be up for it, of course I said yes. My talk is called 'Giving it Away: Thoughts on Making and Giving' which pretty much sums up the content. I'm grateful for the opportunity to really think about making, and why we give our work away, or don't, as the case may be. I also spoke to some friends who had interesting thoughts about this topic. In preparing for it, I looked through lots of old photos to find things I've made in the past - many of which I'd completely forgotten about. That's another good thing about having such a huge blog archive - there's no way I would be able to keep all this stuff in my brain - but looking through all the clothes and toys and embroidery, etc brought back lots of happy memories. You can see some of these long-forgotten projects above. There are so many amazing things to enjoy at Soul Craft Festival! I'm actually quite jealous of the attendees. I'm excited to be teaching but would also love to wander around the market and demonstrations and listen to the talks and drink coffee and knit and chat with everyone. Hopefully I will squeeze in some of that too. There are still a few tickets available (you can find them here) and you can choose whether you attend for one or both of the days.